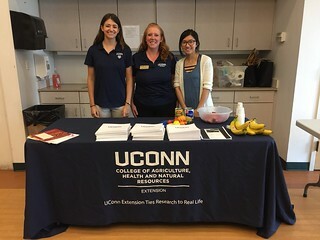 SNAP-Ed Eat Smart, Live Strong Class at Elmwood Senior Center in Danbury, CT. From left to right: Julia Cobuzzi, undergraduate nutritional sciences student; Heather Peracchio, UConn Extension educator; Cheng Li, nutrition sciences PhD student at Rutgers University. According to the latest data from United States Department of Agriculture’s Economic Research Service (ERS), about 41.2 million people are food insecure. People living with food insecurity do not have regular or reliable access to food, leading to “reduced intake, disrupted eating patterns or a reduction in the quality, variety or desirability of diet.” The Supplemental Nutrition Assistance Program (SNAP) provides financial assistance and nutrition-related programming to millions of low-income individuals and families. The Brookings Institute concluded SNAP lifted 10 million people out of poverty, half of whom were children, in 2014. SNAP also funds educational programs (SNAP-Ed) in each state with the purpose of helping individuals and families make healthy choices and plan their food budgets. SNAP-Ed also is an obesity prevention program offering nutrition education and working to improve access to healthy good and enjoyable physical activity. Connecticut has six different SNAP-Ed projects, administered through the Department of Social Services. Two of the programs are conducted by the College of Agriculture, Health and Natural Resources (CAHNR). 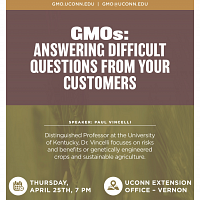 The Department of Nutritional Sciences (NUSC) supervises the Food Security Project in coordination with UConn Extension’s Expanded Food and Nutrition Education Program (EFNEP). Nutritionist Linda Drake, an extension educator, oversees the Food Security Project. The Department of Allied Health Sciences (AHS) administers the School and Family Project. The School and Family Project is managed by Extension Educator and registered dietitians Tina Dugdale and Professor Valerie Duffy of AHS. About 432,000 individuals in 245,000 households in Connecticut receive SNAP benefits. The average individual monthly benefit is $132.36 and the average monthly benefit for households is $233.24. Connecticut has a population of about 3.5 million. 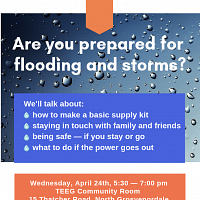 Connecticut’s SNAP-Ed programs all closely coordinate to ensure they address different audiences and topics throughout the state. The programs focus on food budgeting, nutrition and food preparation and safety. Connecticut’s six SNAP-Ed projects received a total of $3.7 million for program funding last year. 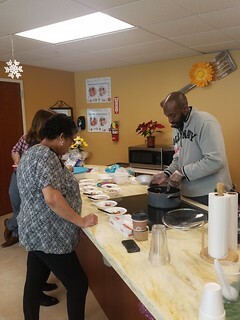 First year Coordinated Program dietetics student Ashton Christopher delivers food samples of a fiesta brown rice to a group of participants in an adult weight management class at Charter Oak Health Center in Hartford. The group actively participated in reviewing the recipe and making the demonstrated food. 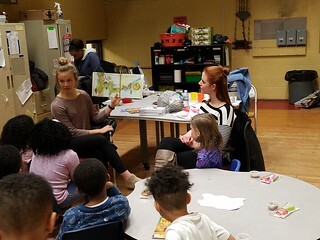 The College’s SNAP-Ed projects partner with local agencies and organizations, bringing their educational programs to community centers, food banks and pantries, classrooms, public housing sites and libraries to reach as many people as possible through group settings. Audiences are primarily adults, parents and families and older adults. Drake’s Food Security Project educators provide food and nutrition education, cooking demonstrations and food tastings across eastern Connecticut. 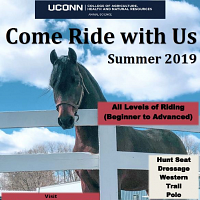 “Our project is small, with four very part-time community-based staff, but we work with some of eastern Connecticut’s most vulnerable residents,” says Drake. She is mindful of obstacles SNAP recipients encounter, including transportation issues or apprehensions people have about certain foods or their abilities in the kitchen. Sometimes those receiving SNAP benefits have limited cooking equipment to prepare meals. Another issue is the prevalence of food swamps and food deserts affecting the decisions people make, but Drake encourages recipients to select quality local foods when possible. “If someone is using a lot of canned foods then we show how to doctor them up to make them more healthy and appetizing. Introducing new experiences through tastings is a great way to turn people on to a meal or snack that can be easy to make and nutritious. Collaborating with so many community partners means we can adapt to what food is obtainable or plentiful locally, whether through a pantry or a farmers’ market,” says Drake. The Food Security Project reached 12,000 people last year. AHS’s School and Family Project targets a younger demographic, meeting primarily with students in low-income areas. The programming introduces and establishes healthy behaviors and nutritious food interests early in life. These lessons can create lasting impacts on children throughout their adult lives. Their knowledge and enthusiasm can also influence parents and other relatives when young people bring what they have learned back home. Dugdale and Duffy oversee a team of five registered dietitians and dozens of student practitioners from AHS’s dietetics programs that conduct rotations, planning and delivering instruction. “For pre-school students, we might read a story together and then share a healthy snack, usually a vegetable, like bright green blanched broccoli or a fresh red pepper. We spend time looking at it and having them touch and experience the texture before they eat it. We know from research that getting their brains and their tongues associated with healthy foods can have positive long-term benefits,” says Dugdale. Dugdale says competitive games appeal to elementary school students. The lessons incorporate food information through a Jeopardy-style game or utilize a spin board to quiz students. Middle schoolers are interested in how nutritious foods can improve their physical appearance, making hair healthier and whitening teeth and other physical benefits. Schools or communities with gardens provide an opportunity to arrange hands-on instruction for kids about growing fruits and vegetables and local food projects. Another benefit is that picked fruits and vegetables can go home with students. “Students take food, recipes and a note to parents and caregivers explaining what we did with their kids. It’s one of the most effective ways to get nutrition education into households. We include helpful contact information so they can reach out to us or DSS if they are experiencing problems with food budgeting and eating healthy,” says Dugdale. The School and Family Project also works with adults of all ages, including seniors. The program reached over 33,000 Connecticut residents indirectly with food and nutrition information. “Connecticut is a diverse state and we tailor our work to meet the needs of individual communities. We have great resources and truly enjoy getting out there and giving people the help they need, even if it’s just boosting their kitchen esteem and confidence to plan and eat healthy. It makes a difference in their lives and people really benefit from a little mentoring and guidance,” says Dugdale. In addition to helping thousands of individuals and families become thrifty shoppers and adopt healthier diets, SNAP provides numerous benefits to local and national economies. The ERS concludes that SNAP benefits also “augment the spending of others, such as farmers, retailers, food processors, and food distributors, as well as their employees.” SNAP spending generates $1.79 in economic activity for every dollar spent on the program. Every $1 billion in SNAP spending results in an additional 8,900 to 17,900 full-time jobs. 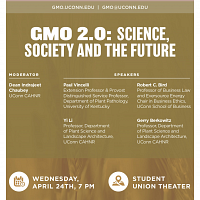 This entry was posted in Economics, Extension, Faculty, Food, Health, Nutrition, Staff, Stories.